Social media is a powerful force in the modern world. Statista estimates that by the end of this year, over 2.7 billion people will be using some form of social media. With this much opportunity, there is no reason why you shouldn’t be taking advantage of a free and built-in audience for your real estate business, just make sure you are avoiding these five mistakes. Social media is built for interaction. It gives you as an agent the opportunity to directly interact with your clients and prospects in a professional but casual manner. The goal of a social media post isn’t to just send out info, but to get people to engage with it. If people are commenting on your posts, you need to make sure you are responding so that your prospects and clients don’t feel neglected. Make sure your responses are timely and informative. 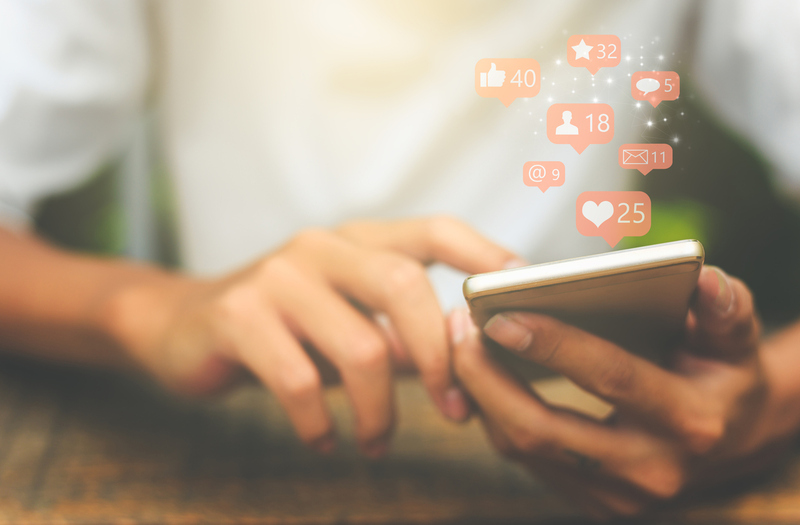 If you choose to use multiple different social media platforms, you want to make sure you are branding yourself appropriately and consistently across all platforms. Simple things like using the same username or profile photo can go a long way in keeping your profiles in sync. When prospects see you on multiple platforms, you will give your brand a larger presence in their mind. While you want to instill consistent branding, you also want to make sure your content is adhering to the different types of audiences on each. For example, LinkedIn is very professional, whereas Twitter is more conversational and casual. One of the quickest ways to lose business is to only post your listings or your deals. These types of posts can bore your audience if that is all they see from you. It is perfectly fine to pepper in listings every now and then but don’t make it the sole focus of your social media content. Try to only post unique listings and keep it to once a week. Social media is a platform for you to provide info about yourself, your business, your services and what sets you apart from your competitors. A half-written LinkedIn profile can deter people from wanting to connect with you or engage with you. A Twitter profile with no profile photo will not do you any favors in trying to gain followers. Try to update your profiles as often as you can so that your information is always fresh and your audience knows that you are active. If you are on social media, but you don’t post content, you are going to quickly fade into the background and may even find yourself being forgotten. Find a healthy balance and try to post at least 2 times a week to stay relevant. Find solid articles that potential homebuyers may find valuable or comment on others’ posts and start a conversation. After all, that is what social media is for — to spark conversation and keep us all connected.